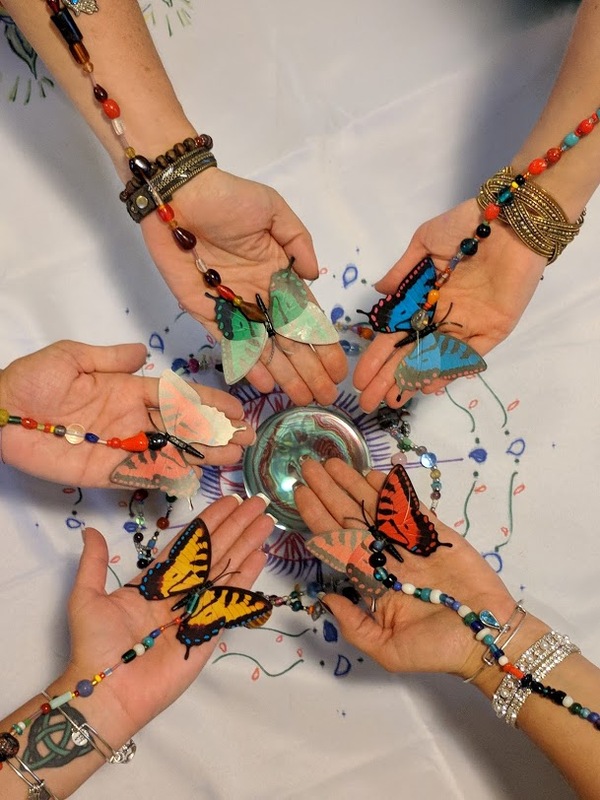 Women have been gathering in circle for thousands of years to support, be nurtured, and share experiences, struggles, stories, thoughts, ideas, and prayers – especially around the new moon. Women need a circle in order to restore our inner power, energy, and to be ourselves fully. Circles began in biblical times. Women came together to share the menstrual cycle, the pain, and give birth together. Even today, in many cultures, women live as a community and gather to share. I, myself, grew up in a community like that. My family migrated from Morocco, where women used to gather together on the new moon to recharge and share. Growing up in a house with 5 sisters, my mother and grandmother, we used to gather on the new moon, for a ritual. Over the past 12 years, I have been leading women’s circles on the new moon, for women of all ages, adolescents to adults. During that time, I have witnessed the beauty, power, and amazing transformation that comes when women gather together to support and encourage each other to embrace, empower, and emerge as our greatest, most authentic selves. We are all facing many challenges, it’s a fact and part of life. By being in a SoulSisterhood circle, we feel power and support as we celebrate us, as women, helping each other rise and encouraging one another to flourish and thrive. If you’ve never been a part of a Women’s Circle, let me share with you how a Women’s Circle is structured, its purpose, and the wonderful benefits you’ll enjoy when you participate in one! A Circle is a geometric form where everyone in the Circle emerges from the center. It leads to honoring all voices. Circles empower us to feel self-worth, inspiring joyful self-expression, self-awareness and self-appreciation. The women sit in a physical circle, making it easy to go around the Circle, giving each woman the opportunity to share. 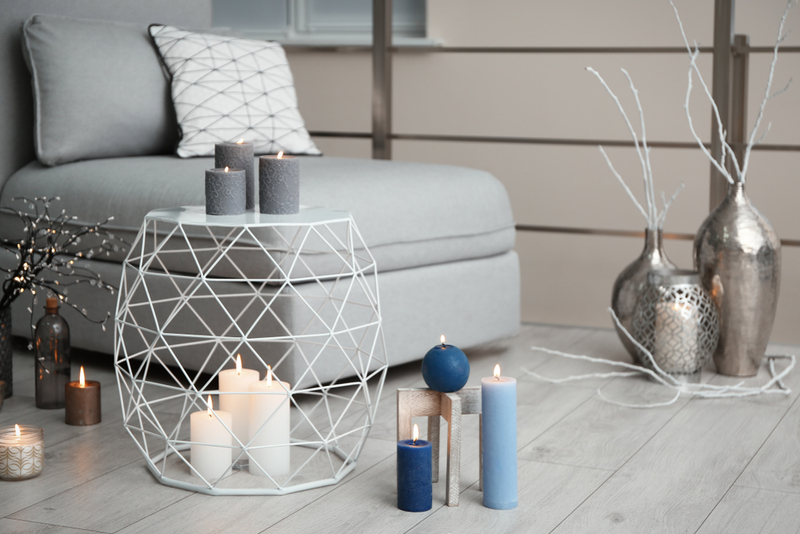 Women’s Circles can be held in the living room or in a room or other area designed specifically for Circle. Offering Women’s Circles creates a community where women come to know, like and trust one another. In the Circle there is a sister facilitator, or two co-facilitators. The facilitator makes sure that every woman has equal time for her voice be heard. The facilitator also makes sure there is integrity in the Circle by following a set of respectful guidelines and Circle agreements. The facilitator of the Circle is not put on a pedestal and treated as separate. She is part of the magical circle. Each woman in the circle MATTERS; she believes that she is equally important in creating the structure and strength of the Circle. Women’s Circle is a place for every woman to feel welcomed and a sense of belonging. We are all equal, we are all mirrors of one another. Circle is a place of abundance, We are giving and receiving, We are validated and respect ourselves as women. It helps to us set free from the mother’s wounds, and connect to ourselves ~ with wisdom and compassion. The SoulSisterhood Circle offers a safe and gentle space for women of all ages and backgrounds to come together, be themselves, be supported, feel connected, feel loved, and have the opportunity to be seen and heard. It is a place to unwind and let go, a place where women can share the things they are afraid to speak and learn how to shine the inner light on shame so it no longer exists. In the Circle we are honoring our ancestors, that give us the strength and the wisdom to be present, and embracing this moment of the feminine energy. 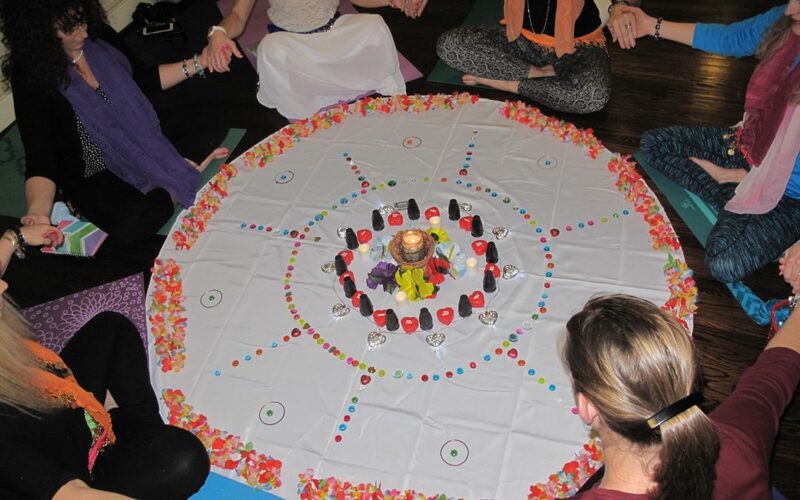 The strongest purpose for a Circle is to create unity, harmony, connection, co-creation and collaboration, healing all women who came before us, the women that walk with us, and the women who will come after us. When women get together and mingle with feminine energy, it supports the balance of energy within our mind, body and soul. Click To TweetIn the western culture, women are isolated. They feel alone, ashamed, and live with fear. Women’s Circles create connection and community, the opportunity to share, encourage, and grow. Harvard studies have shown that women who have a close female friendship are more likely to stay strong, healthy and happy at any age. Another breast cancer study showed that women who have the support of other women are more likely to survive. In the Circle, we draw strength, courage, love and support from others who truly understand our journey. You can experience all these powerful benefits in a virtual or in-person Circle. When we acknowledge our judgments toward one another, we become awakened and begin to see that those judgments are our own shadows. This leads to greater awareness and helps us be more accepting of ourselves and others around us. Soulful support is when we can support other women without comparison, judgment and copying because we are able to embrace our own uniqueness and value as well as the uniqueness and value of other women. We leave the Circle feeling empowered, connected, uplifted, recharged, filled up, energized, rejuvenated, reborn, connected to our feelings, and safe. Step into the powerful Circle; visualize yourself forming this beautiful Circle of women, sitting among your sisters, feeling the profound empowering moment. Begin creating your own sacred space today! This step-by-step guide makes it easy! Please complete the form to receive the download. Get ready to courageously dare to take action in your life with BLISS! 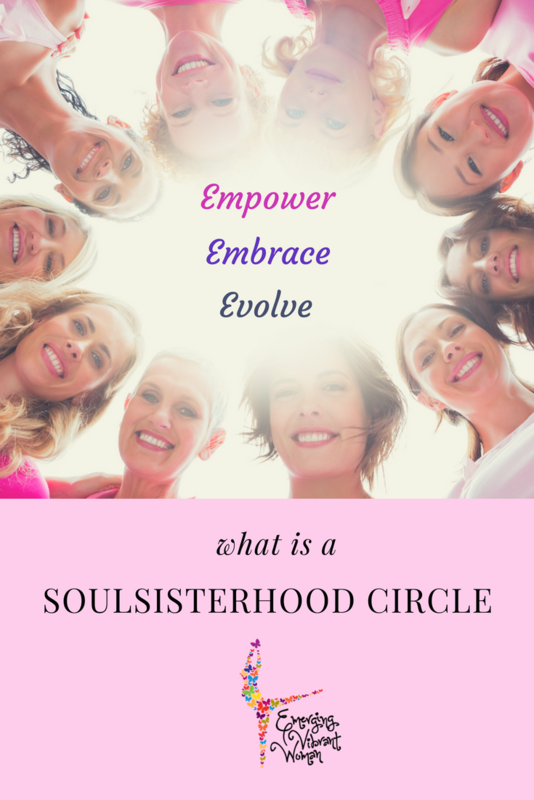 Enrollment is now open for the Soul Sisterhood Circle 7-Week Mastermind that begins October 4, 2018. Click here to find out more! Mentoring & teaching courageous women how to overcome their fear of being visible, confidently lead powerful women’s circles, and build communities that help women navigate life’s transitions with more balance and peace. "Within you is the power to rise above any situation or struggles and transform into the brightest, strongest version of yourself."